There are two versions of the notebook—one for pre-readers (recommended for children ages 0–5) and their parent or caregiver and the other for school-age children (recommended for ages 6–12). The notebooks are bilingual. Both versions of the notebook are laid out in a flipped style, where English comprises one half and French the other. Each child who joins the program receives an age-appropriate notebook at registration. 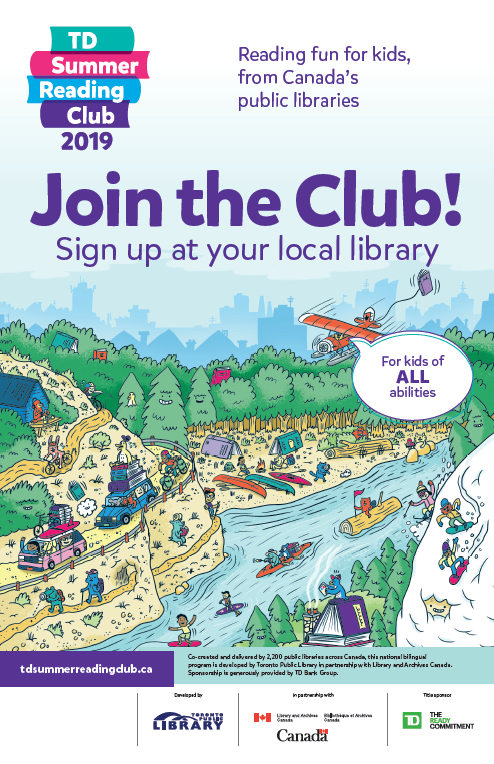 Please see the plan for accessibility page for more information about accessible notebooks in a variety of formats (audio, large print, braille and open dyslexic font) and for practical tips for ensuring your Club is accessible and inclusive for everyone. The web access code is printed on a sticker that children can stick onto the inside cover of their notebook. 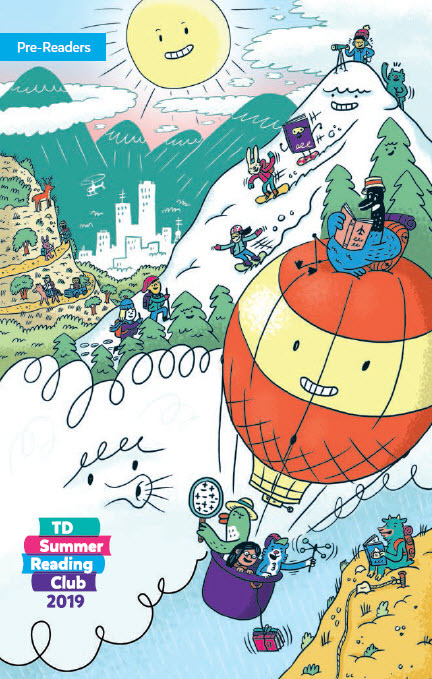 Children can enter their unique access code on the TD Summer Reading Club website to create their online notebook, and store virtual stickers and items read. Each child who joins the program receives a web access code sticker at registration. 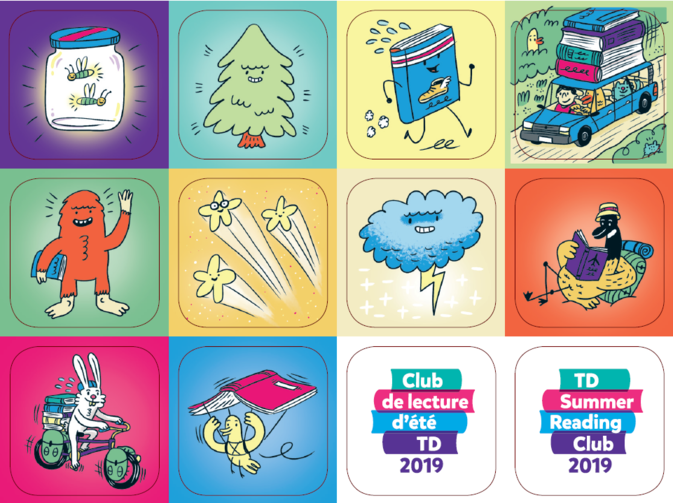 There are 12 stickers on a perforated sheet, including two stickers for the TD Summer Reading Club logos—one English and one French. Stickers can be used as reading incentives, one given each time a child reports on an item read or listened to. It is important to be flexible with this process. For example, if a family is unable to keep returning to the library to collect stickers over the summer, you can distribute the entire sheet of stickers at registration for the parent or caregiver to administer. The fortune teller includes folding instructions, jokes, and encouragement to join the Club. This item is perfect to use as a promotional item before summer starts to increase anticipation and excitement about joining the Club. For example, you can distribute them to children during class visits to your library or outreach visits you make in your community. You also may opt to give one to each child at registration or have it available as a take-away item in your library throughout the summer. The fortune teller contains six fortunes and two spaces where children can write in their own. There is an English fortune teller and a French fortune teller. 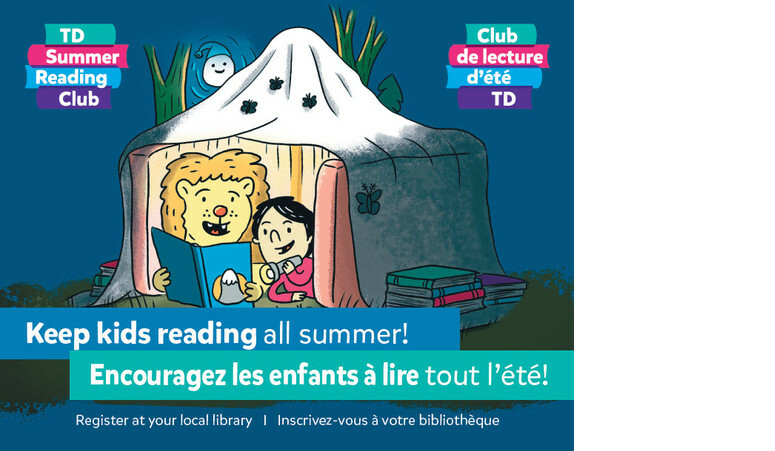 This brochure features the top ten recommended reads in English and French (20 titles total) as well as information for parents, including the importance of summer reading, how to participate, reading tips, and how to find us online. 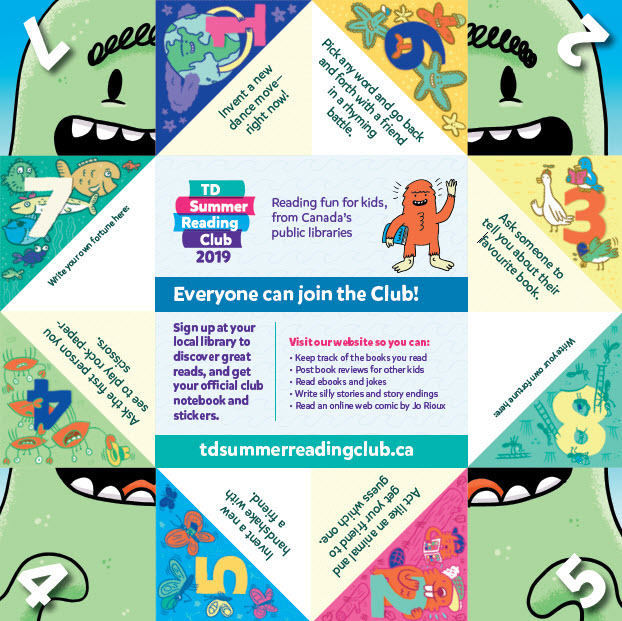 This item would be ideal to provide to schools for inclusion in year-end report cards, and you may also wish to make quantities available in your libraries as a tool for staff to use when describing the Club to parents and caregivers. The 11 x 17 inch promotional posters can be displayed in your library or posted in your community to promote the Club. 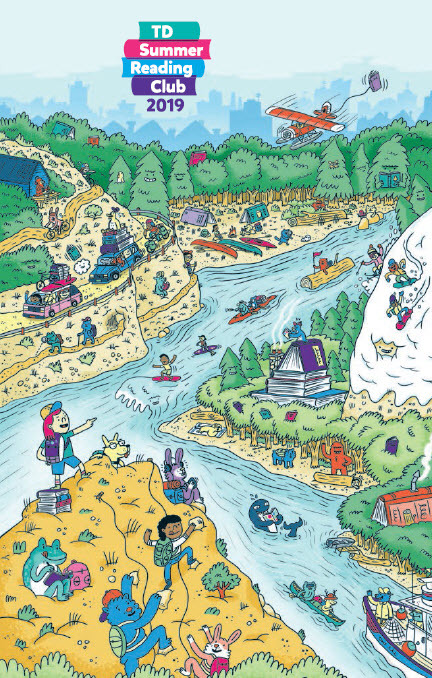 There is space at the bottom of the poster to add your library’s information. This item is bilingual (English on one side, French on the reverse).